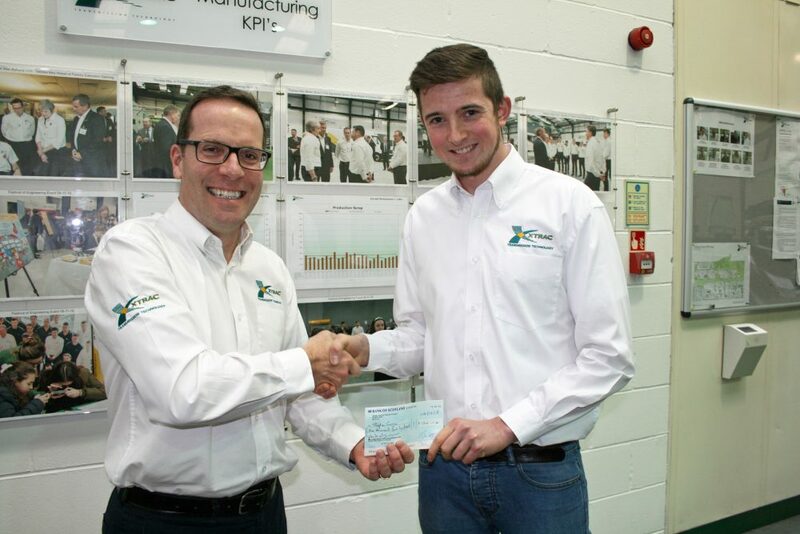 Second year apprentice, Stephen Gomm has been honoured by being appointed as a Coachmakers Automotive Apprentice. To celebrate this appointment, representatives of The Worshipful Company of Coachmakers visited Xtrac to present their award, along with Xtrac’s CEO Adrian Moore, to Stephen on Friday 7th December. 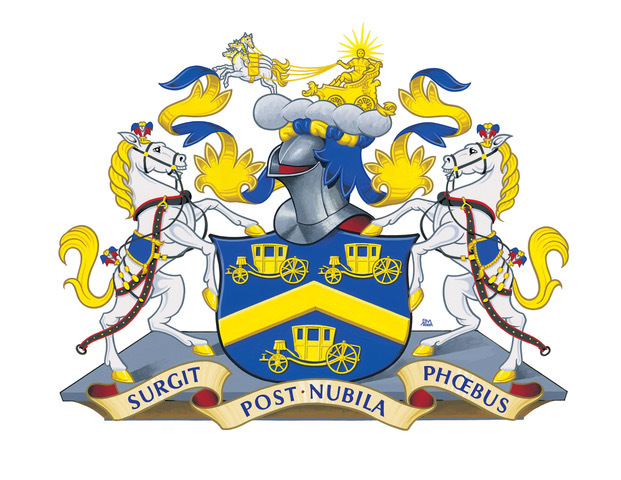 Stephen is the first Coachmakers Automotive Apprentice to be appointed by The Coachmakers, a City of London Livery company which prides itself on being an active investor in young people and has launched three new apprenticeships across the aerospace, automotive and coachmaking sectors. The apprentices are selected by their employers by a broad spread of criteria, including their achievements both at and outside work. Those selected are put forward and after a selection process are confirmed as Coachmakers Apprentices. Stephen Gomm is the first of what is hoped to be a long line of high-achieving apprentices who will be managers and leaders of the future. Gomm impressed the Coachmakers panel by his straightforward manner, clear knowledge about and enthusiasm for his work and by demonstrating an indication of his future success. 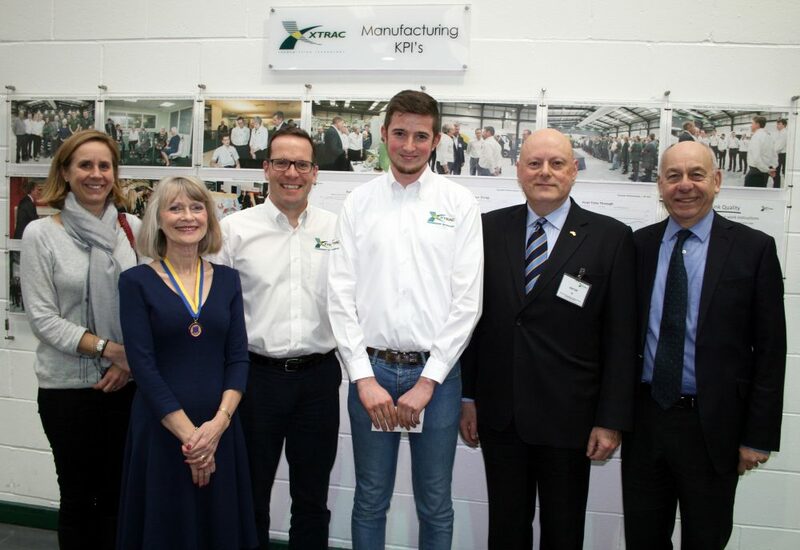 Xtrac has been and continues to be extremely committed to the development of young people through their apprentice and undergraduate programmes and this was heavily endorsed by the recent visit of Prime Minister Theresa May, who spent a large part of her factory tour talking to past and current apprentices. Adrian Moore, who accompanied the Coachmakers on the tour of the facility, said “We welcome the additional support from the Coachmakers which bolsters our already successful apprentice programme. We are committed to developing young people to give us the workforce of the future as we move into an electrified automotive world where workers with key technical skills and the ability to innovate will be at a premium”.